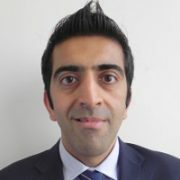 Hirander Misra is Co-founder, Chairman and CEO of GMEX Group, which is a set of companies that offer sustainable and innovative solutions for the new era of global financial markets through an aligned partnership driven approach with exchanges, clearing houses and central securities depositories. Hirander is also Founder and Deputy Chairman of FinComEco, a pan-African agricultural exchange ecosystem. Previously, he was the co-founder and Chief Operating Officer of Chi-X Europe Limited, instrumental in taking the company from concept to successful launch. At the time of his departure in February 2010, Chi-X Europe was the second largest equities trading venue in Europe, just behind the LSE Group and was subsequently sold to BATS Global Markets in November 2011 for US$365m. Selim is a serial entrepreneur with more than 30 years of experience on the American, European, Emirati, Caribbean and African markets in real estate and Commodities. His entrepreneurial career started in commercial real estate M&A in the Caribbean and Mexico. Following the sale of his real estate interests, he founded Alterma, a trading platform of precious metals and Forex, qualified for management of Derivatives, Futures and hedging products. In 2010, he returned to Europe to oversee the setup of Forex, Oil & Gas and Precious Metals Desk at Market Securities in Geneva. In 2013, he founded Noble Precious Metal in Dubai, regulated by the DMCC (Dubai Multi Commodities). Rory is the co-founder and CEO of Abridge Consulting Partners (ACP), a specialist consultancy serving the global capital and commodity markets. ACP is currently directing the development of China’s first, truly international commodity exchange. 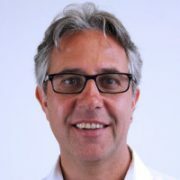 After 8 years with UBS Bank, Rory joined LIFFE exchange where he started and developed their consultancy practice before leading major projects to implement the LIFFE trading platforms for exchanges around the World; the largest of these being the project to implement the global e-CBOT platform for the Chicago Board of Trade. After LIFFE and its later AEMS subsidiary he joined LCH.Clearnet as a Director and developed clearing opportunities for them; particularly in India and China. Rory has consulted on IT, agricultural and project management assignments in more than 35 countries and specialises in leading projects internationally to establish and develop commodity exchanges and associated infrastructure. 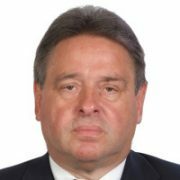 Gerhard worked in the Middle East as Head of Gold and Commodities at Arab Banking Corporation Bahrain and Emirates NBD, Dubai. Gerhard also served on the Independent Governance Committee to the DMCC, as well as being a member of the management and physical committee of the Dubai Gold Advisory Group. 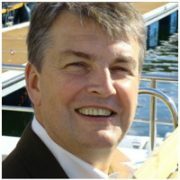 Prior to this, Gerhard was with Fortis Bank, now ABN AMRO Nederland, as Head of Precious Metals. Gerhard’s career in the Bullion markets will reach 40 years during 2018 and includes working in Germany, but mostly in the UK before moving to Dubai at the end of 2010. He has served on the Board of ABN AMRO Markets, UK, and was a Member of the Management Committee of the London Bullion Market Association and the London Platinum and Palladium Market. Gerhard Schubert is a regular speaker on precious metals at Industry conferences and on Bloomberg Television. 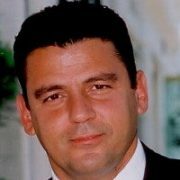 He brings to the MINDEX venture all his expertise in advisory and consulting within the Precious Metal arena. 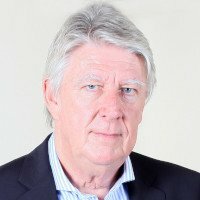 Jeffrey founded Rhodes Precious Metals Consultancy DMCC in 2013 after a successful career in the precious metals industry spanning four decades working across four continents for major bullion banks and financial institutions. Since 2013 he has successfully advised a number of high profile clients in the global precious metals markets and has been prominent in the development of the Dubai Multi Commodity Centre, having been a member of Dubai’s Gold Advisory Group since its inception in 2003 until the present day. Jeffrey is a past chairman of the Public Affairs Committee of the LBMA having been the founding editor of its trade magazine The Alchemist.